Innovative ideas are not necessarily brilliant business ideas. 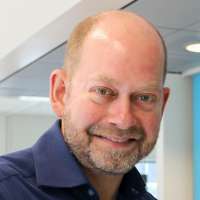 They should be relevant and adaptive to customer needs, not too difficult to be executed in the market and fully backed by the entire organisation. Always ask yourself these three questions: Who are you innovating for? Why should you do this? What will this idea involve? A new idea grounded in business reality gives you the real competitive advantage. Innovations should focus on value to customers, not technology or feasibility. Innovations grounded in customer insights are cost effective and likely to succeed. All innovations, not just the radical ones, require full backing of internal processes. Don’t innovate for innovation’s sake. An innovative product or business idea should be a means to reaching business goals, such as expanding customer base or market share, or optimising production processes. Innovative ideas often look interesting and intellectually stimulating, but they may not be grounded in business reality. Therefore, it is very fundamental for organisations to always remember who you are innovating for (customers), why you should do this (business objectives) and what this will involve (organisational impact). Technology-driven innovations can create substantial competitive advantage, but they can also be very resource-intensive and costly to achieve. Technology breakthroughs are often ahead of the market, that means customers are not ready to accept or even adopt. Therefore, the focus of innovations should not be on the technology and its feasibility, but on the value and relevance to customers’ current and future expectations. Organisations need customer insights to conceive innovations that are relevant to your customers. New ideas have to be timely to customer needs and commercially viable for the organisations. Innovations generated in this way are cost effective and more likely to succeed. Recognising your customers when they have been with you for a while with relevant offers is a good way to reconnect with them. In large and complex systems such as healthcare or public transport, innovations are often managed by a top-down approach. Directions are mainly provided by the top management, and budgets are usually the main levers. This approach to innovations involves significant investment, change and portfolio management. Alternatively, organisations can encourage high volume of small and quick innovations from its staff. For this bottom-up approach to be successful, the right skills and culture for innovations have to be in place. 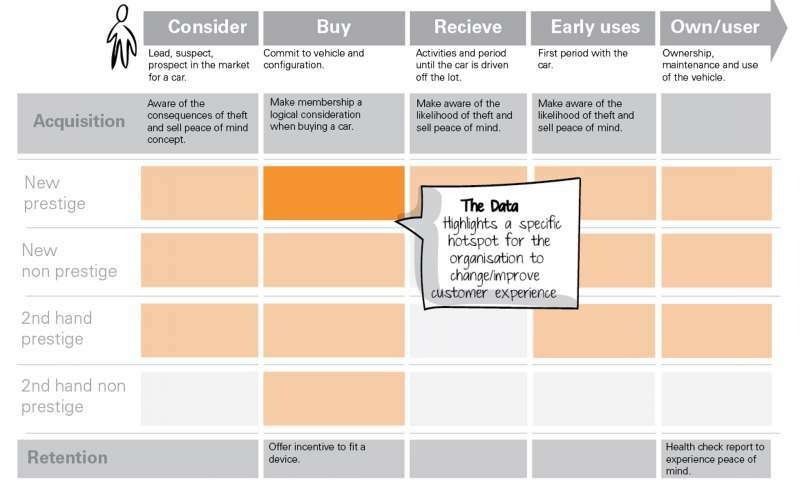 Both top-down and bottom-up approaches demand continuous engagement with users, stakeholders and staff. 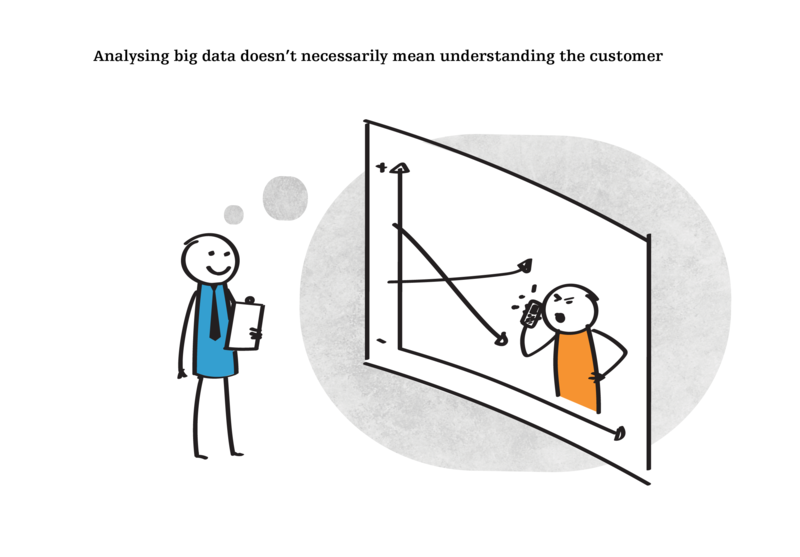 New tools make it easy to analyse large amounts of unstructured customer data but cannot be more important than understanding the customer relationship. Banks know their customers and their behaviour but don’t know their needs. 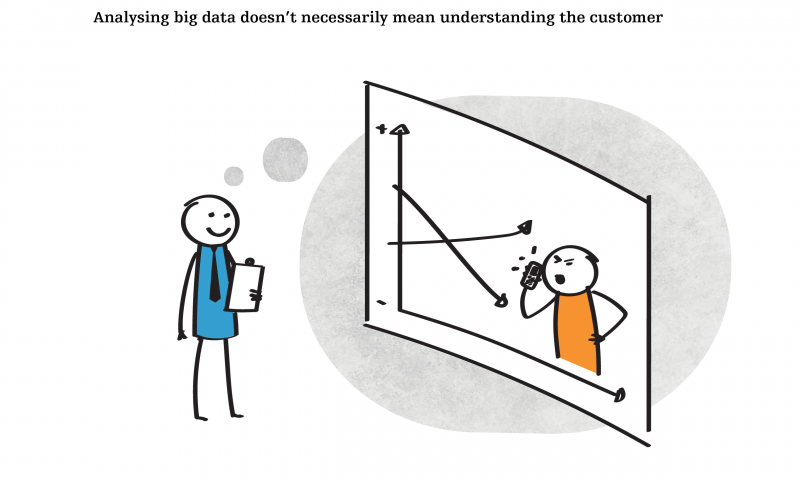 Business Intelligence may encourage product innovation but understanding customer data doesn’t equal knowing customers. Banks should communicate more direct and proactive to understand customers’ current situation and anticipate potential needs. Innovative ideas have to have clear goals before they enter the market. In order to understand where to invest and with how much of your resources, organisations should thoroughly understand all the performance drivers and how they relate to each other, instead of just monitoring sales numbers or brand equity in isolation. When you actively collect feedback from customers and data from users, and refine your ideas and business plan accordingly, you are more likely to push the momentum towards the tipping point of achieving commercial success. 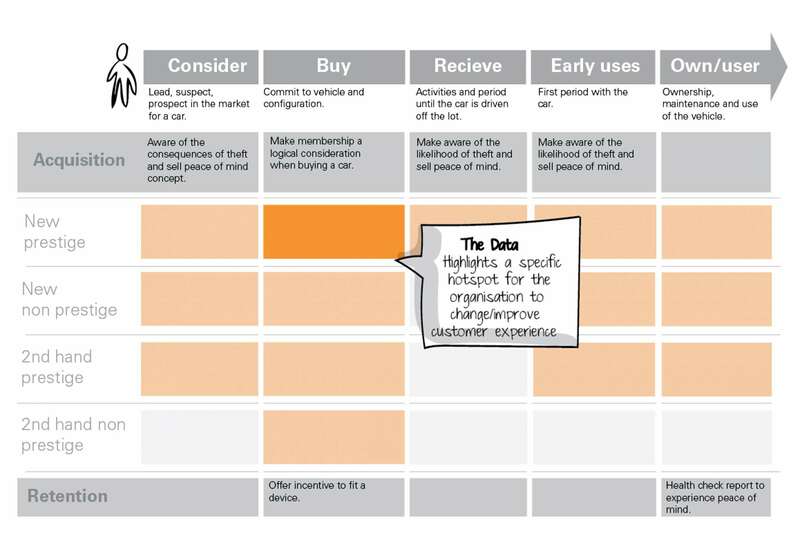 Organisations collect loads of data about their processes and customers, which help them identify customer patterns and behaviour. However, this data is not very helpful unless we also know the context that gives rise to these patterns. We can create a heat map that puts the data into the context of the customer lifecycle, which helps us identify problems and make informed decisions. Before your brilliant idea hits the market, there could be one more major obstacle: your own organisation. Successful innovations, not just the radical ones, need the full backing of departments and internal processes. They require strong internal champions of the idea, a common language to get the message and goals across the entire organisation, and the needed funding. Pilots of innovative ideas are not just about testing the market, but also exposing potential impact on the organisations and how to be prepared for it. The price of failing after launch is on average 100 times more than at the design stage. Even the most brilliant ideas fail in the market if they don’t create the right customer experience. Therefore, it is important to innovate around customer needs, and prototype solutions before launching. A commercially viable innovation, with the full backing of everyone within an organisation, gives you the real competitive advantage.